Your tax-deductible donations are greatly appreciated to improve the quality of life for all Tucson residents & visitors. 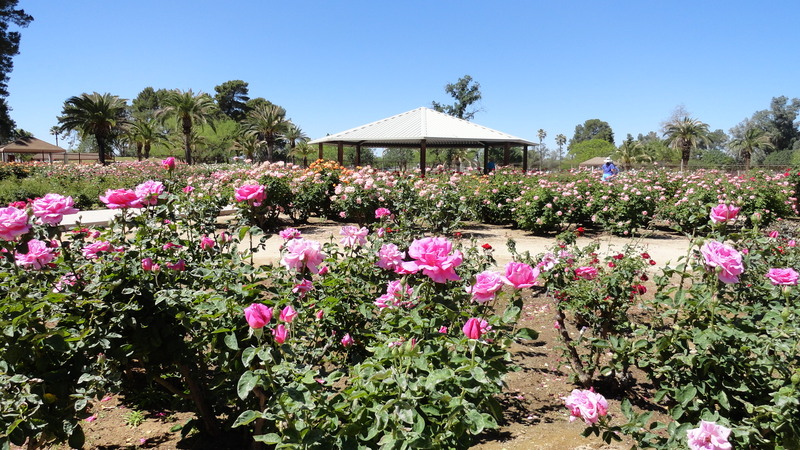 Make your donation to the Tucson Parks Foundation over the course of a year! It’s easier than ever to make a tax-deductible donation to the Tucson Parks Foundation with Monthly Giving. You can now make smaller, monthly donations that really add up at the end of the year. Select either a $5, $10, $25, $50, or $100 monthly donation amount. You will be charged that amount today and then once a month until you decide you want to stop your donations. It’s that easy! *Monthly payments are recurring until canceled. In 2011, we started working towards the development of a park to honor those who forever remain in our hearts and memories. One such person was my son who lost his battle with mental illness in the summer of 2009. I vowed to care for his most precious things… his family, friends and neighbors. They all have urged me to turn the spot of his death into a place of comfort and recreation for our entire community to enjoy. Twenty Eighteen Campaign Fundraising Goal: $40,000. Proceeds will pay for a group Ramada and swings. 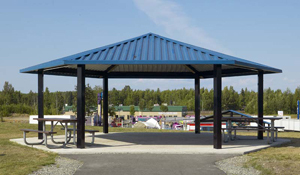 The City has been providing staff support towards the park’s planning and development. 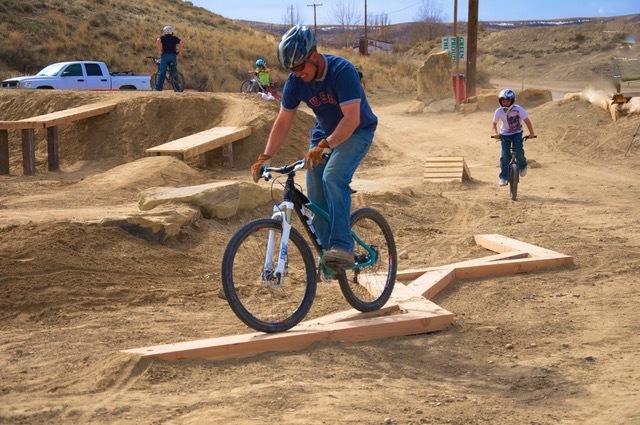 Your financial support is essential for making the 100 Acre Wood mountain bike skills park a reality. We sincerely appreciate your donation. Tucson’s first and only covered skate park and recreation area. Tucson natives Caleb Guitierrez and Kyle Araishi have both been enthusiastic skateboarders for most of their lives and want to raise funds to bring Tucson it’s first covered skate park beneath the freeway underpass at Cushing Street and I-10. We are Tucson natives Caleb Guitierrez and Kyle Araishi and have both been enthusiastic skateboarders for most of our lives. Both of us have also been actively participating in the cultural community for many years. We have helped organize and been involved with MOCA Tucson, The Monsoon Collective, Think Tank event space, The Rialto theater, Night of the Living music festival, La Cocina, BICAS, and have added to the community in many other ways. We have the unique experience and connections to know what the Tucson skating and roller sports community needs and the ability to help get those needs met. That’s why we are reaching out to you to help build a new covered skate park beneath the freeway underpass at Cushing Street and the I-10. 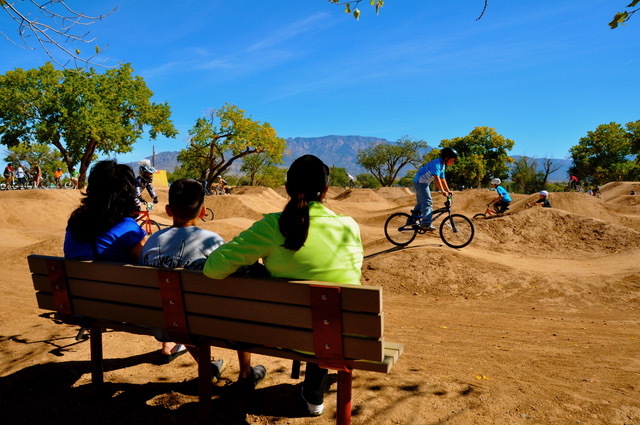 We think many people could benefit from the creation of the skate park: skateboarders of all ages in Tucson and surrounding areas, parents, local businesses, and partners who could contribute to the construction of the park. We look forward to working with you to help make this project a reality! ● Heat and strong sunlight make Tucson’s uncovered skate parks unuseable 6 months out of the year because of possible sun-related injuries such as sunburns, dehydration and sunstroke. ● Monsoon rains and other precipitation make other uncovered skate parks unuseable. Without proper drainage and maintenance uncovered skate parks will also fill with puddles and pools which make them unsafe and a breeding ground for mosquitoes after it has rained. ● The concrete and other structures need more maintenance and experience more degradation because of exposure to the elements. 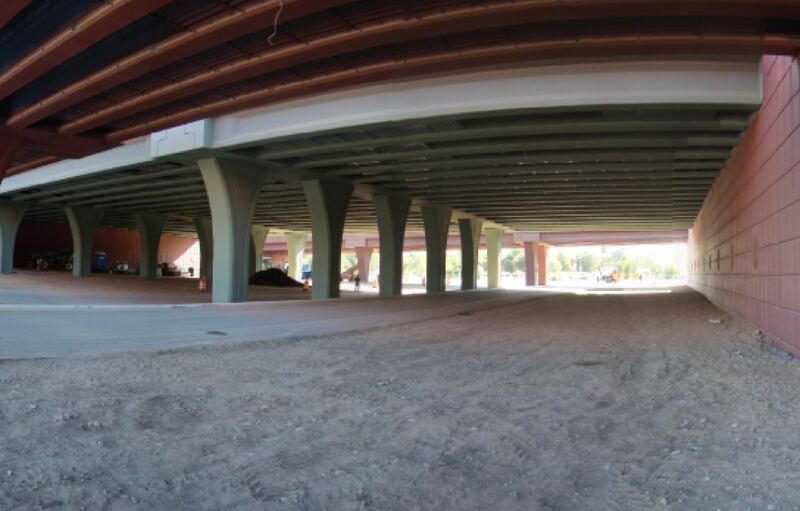 ● The freeway overpass provides the shade needed for a year-round accessible skate park. ● Low noise impact on surrounding neighborhoods (lack of residential areas nearby). ● Easily accessible by the light rail system and bus system. 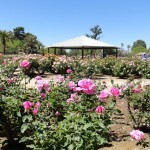 ● Centralized location that can be a resource for the downtown area and all of Tucson. ● Proximity to businesses and services in the downtown area. ● Skateboarders off all ages, backgrounds, and skill levels would utilize the skate park. They can use this space for practice, recreation, and events. ● Roller derby teams and roller skaters. Member’s of Tucson’s roller derby community have already reached out to us about their enthusiasm about the Cushing Street Skate Park as an area to practice roller skating and for training year round. Right now they are limited to renting space indoors or only practicing at night time at schools or other areas with flat skateable surfaces. ● Family and friends who want to watch roller sports, connect with their kids, and meet people in the community. ● Skateparks can provide physical activity for kids not interested in traditional team sports. ● This skate park could provide after-school activities and a place for physical activity during the summer months. ● Community skate parks provide a safe and challenging place for skaters of all levels to develop as athletes. ● Skateboarding and other roller sports are two of the fastest growing activities in the United States with more than 14 million participants. ● Public skate parks help get kids “off the streets” and into a safe place. Without a public skate park, kids are more likely to skate in unauthorized and potentially dangerous spaces. ● Creating a community skatepark will help minimize damage skaters do to public and private property. ● For example, In the City of Calgary, 75% of 24 communities surveyed after the skatepark opened reported a significant reduction in the “street” skate problem. This can help eliminate the need for police and official time used to respond to and report on skating issues. ● A professionally designed and built skatepark acts as an extension of the local skateboarders’ specific needs. The skaters build a sense of ownership by participating in design conversations and the process of getting the skate park built. ● Public skateparks provide healthy activity for kids and help eliminate boredom which has been identified as a common reason for drug use. ● The skate parks proximity the light rail system will mean businesses and establishments from the University of Arizona, 4th Ave, downtown, and the Mercado San Augustin will have an increased customer base. ● We have reached out to local companies and partners who are interested in the building, maintaining, and marketing of the Cushing Street Skate Park. This would be an economic benefit to them and the local community. ● Skateparks help create and sustain the need for quality skateboard shops. This helps bring new jobs and tax revenue to the community. ● Skateparks can help generate revenue and a sense of purpose for instructors/mentors who can instill their love and knowledge of the sport in others. ● The community should set up skateboard lessons and camps to help teach beginner through experienced riders all-year-round. ● This creates a winning environment for the skaters, instructors and community. ● A professionally designed skatepark will attract out-of-town visitors who will spend money within the community. ● A public skatepark makes the community appear to be invested in the youth and active lifestyles. This will attract new residents to your community. ● YOU! We need and want the involvement of all members of the community. ● The City of Tucson and ADOT are an integral part of getting the Cushing Street Skate Park built. 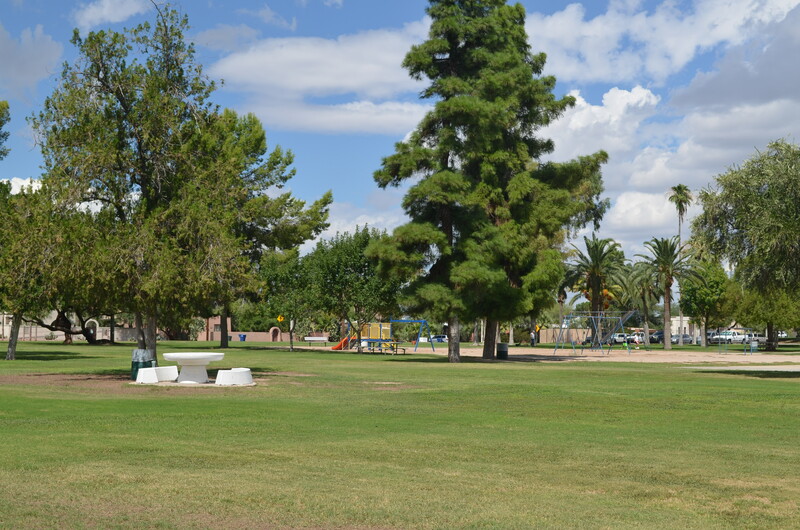 ● The Tucson Parks Foundation is a 501 (C)(3) collecting donations to fund the building of the skate park. ● There are various organizations and businesses we are working with to host fundraising and informational events. ○ Che’s Lounge and BLX skate shop are organizing a block party a block party on 7th St. to raise awareness and fundraise. ○ MOCA Tucson wants to host a fundraising and informational event that focuses on the photography and art of skateboarding history and community. ○ Monsoon Collective is having a musical event to raise money at the end of October. ○ Think Tank event space will be hosting a skateboarding event with live music in November. ○ 191 Toole and Rialto will be hosting a concert with local bands and proceeds will be donated towards the skate park. We know there are hills left to climb before the Cushing Street Skate Park becomes a reality. We are willing to put in the work with the city government, local businesses, and the Tucson community to get this project built because it will be beneficial for us, everyone involved, and generations of Tucsonans to come. Here are some steps we are taking now to lay the groundwork for Arizona’s first covered skate park and to achieve our fundraising goals to make this dream a reality. ● We are in the process of forming an LLC to help raise donations for construction and maintenance costs. ● We are reaching out to all members of the community to see how and in what ways they want to get involved. ● We are organizing more events to raise awareness and get fundraising in the new year. The friends of Himmel Park coalesced in the fall of 2014 out of concern for the park’s declining natural landscape and man-made infrastructure. Over the past few years, our group has worked to improve many aspects of this wonderful park.